Want to get stuck into the detail? Then Derwent Studio pencils are just the range for you! 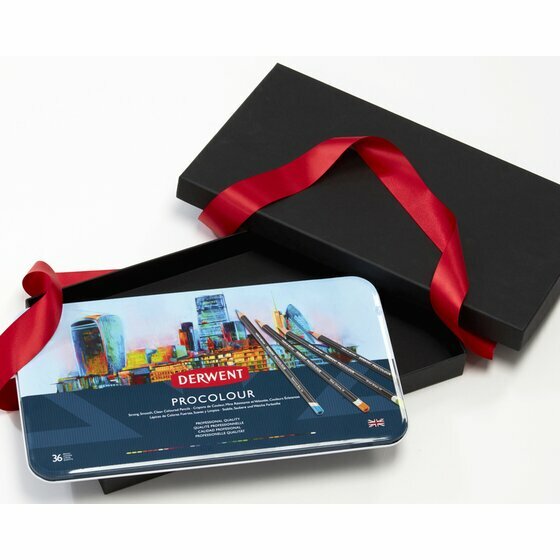 You will find they have the same colour strip as the Derwent Artists range but are a lot finer, perfect for more detailed work, particularly illustrations. The barrel is hexagonal rather than round, like the Artists pencils, so you can get a really good grip when getting down to the tricky bits! 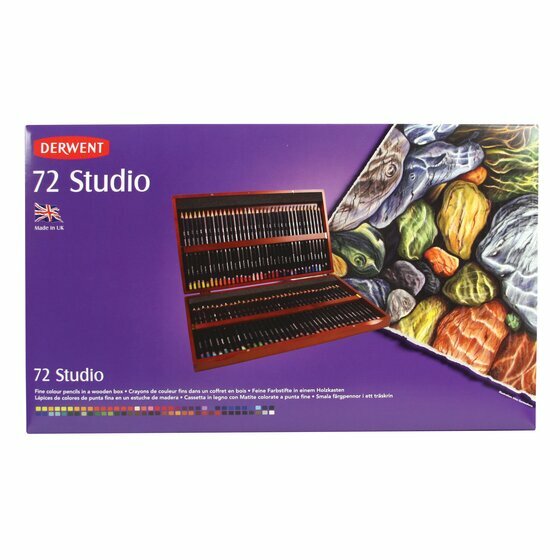 The complete range of 72 Studio pencils presented in a beautiful wooden box. Slim colour strip is particularly suited for detailed illustrations, technical drawings and commercial work. The hexagonal barrel makes the pencil easy to grip. Colours are blendable and can be superimposed again and again. A full range of 72 colours is available as well as tins of 12, 24, 36 and 72.